"Armistice with Germany" and "Armistice of Compiègne" redirect here. 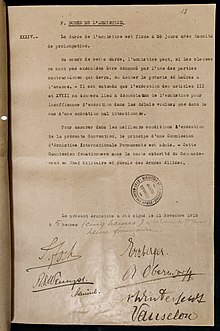 For the day of commemoration, see Armistice Day. For a full list, see List of armistices involving Germany. 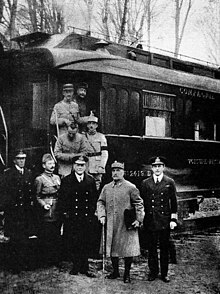 Wikimedia Commons has media related to World War I Armistice.